Quantity discount pricing: PENCILS #2 Lead with imprint. 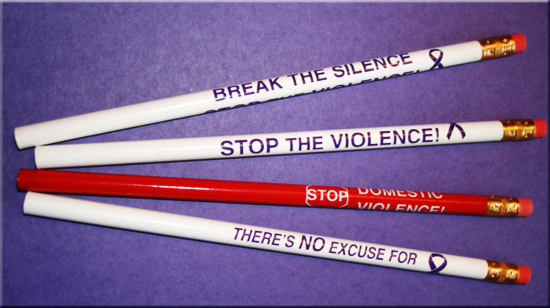 We can also customize this pencil with your organization’s logo or message. There is a one time $35.00 plate/set up charge and a minimum order of 1,000 pens is required for this item, on custom order imprints only. 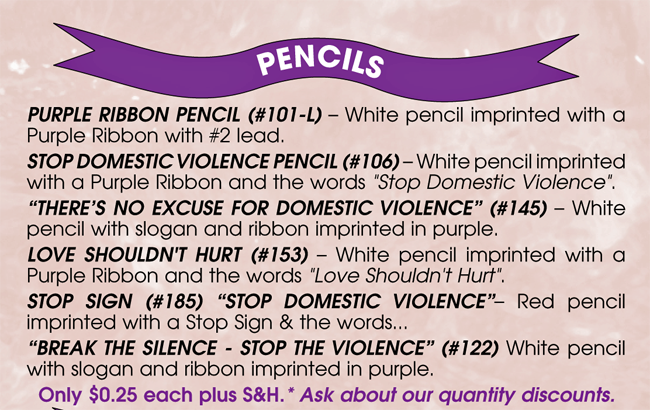 White pen imprinted with purple ribbon and the words "LOVE SHOULDN'T HURT!" Only $0.48 each.Larger quantity discounts available. *Now on Sale!